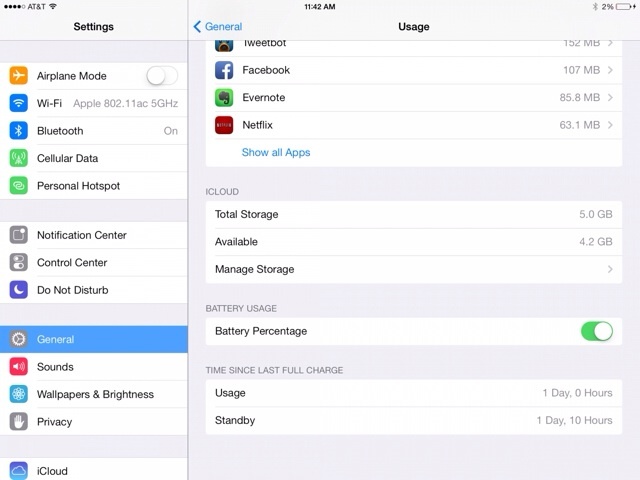 The iPad Air can last for 24 hours straight as an LTE hotspot, according to Anandtech. The site tested the device with its display off and a single notebook tethered wirelessly and downloading at a constant 50KB/s. The iPad Air lasted 24.08 hours before dying and had transferred over 8GB. Notably, this is more than most people's monthly data plan.